SEE ASLO: False Flag: Was the Kenyan Terror Siege an “Inside Job’? 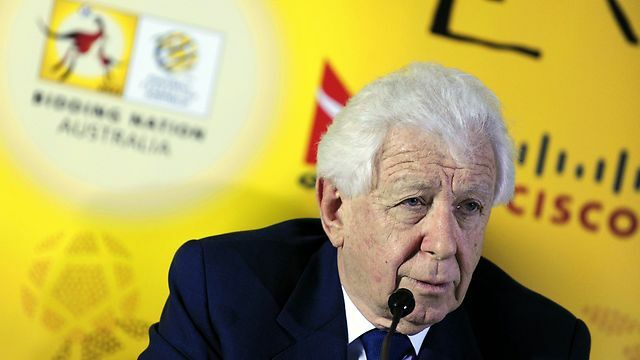 Frank Lowy has had a sordid history surrounding terror related activity, from his subsequent insurance payout-partnership with “lucky” Larry Silverstein in the aftermath of 9/11, to the Marriott Hotel bombings in Islamabad and Jakarta, both of which he owned. 21 September 2005: Westfield Mall in Perth, Australia, bomb threat. 17 May 2006: Westfield in Woden, Australia, bomb threat. 21 July 2007: Court house adjacent Westfield Centre Derby, England, bomb threat, which caused evacuation of Westfield premises. 01 March 2008: Westfield Old Orchard Mall, Skokie, Illinois, bomb threat. 20 April 2009: Westfield Hotel Annapolis, bomb threat. In the infamous “Raid on Entebbe” in Uganda in 1976, the public was led to believe that an Air France jetliner had been hijacked by Popular Front for the Liberation of Palestine in Tel Aviv and was diverted to Uganda. After several days the IDF moved in for a ‘Hollywood’ rescue. There is was only one problem, it didn’t happen this way, according to BBC documents obtained in 2007. In a UK file released from the National Archives contained a claim that Israel itself was behind the hijacking in 1976. Israeli Secret Service, the Shin Bet, and the Popular Front for the Liberation of Palestine colluded with the former Ugandan President Idi Amin. The staged event was deliberately created to cast Palestine in an unfavorable light, as international relations had been growing closer with America. It has come to light that the National Intelligence Service in Kenya had warned certain people of an impending attack at the Westgate Mall, in addition to that, Israeli agents were reported on the scene, supposedly to help the Kenyan authorities. Was Mwau a part of the setup, or has he also been subjected to a neo-strategy of tension? On the same day that the Westgate Mall partially collapsed (no doubt for insurance purposes) an arrest warrant was issued for 7/7 “White Widow” Samantha Lewthwaite, who is believed by some to have ties to the MI5, and MI6. Are intelligence agencies in the US, Britain and Israeli about to charge the White Widow for the Kenyan mall siege, in order to cover-up for a deeper intelligence operation? Also, remember the staged terror in Woolwich this past May, where it turned out that at least one of the alleged attackers Michael Adebolajo, was connected, and indeed recruited by MI5, and was supposedly being recruited for a terror organization in Kenya. British High Commissioner to Kenya, Dr Christian Philip Hollier Turner, has close ties to Israeli intelligence and was the UK’s Director for the Middle East and North Africa prior to being stationed in Kenya just before the Westgate terror siege. Additionally, the US government is also said to have worked with Al-Shabab, the terror group linked to Al-Qaeda…. 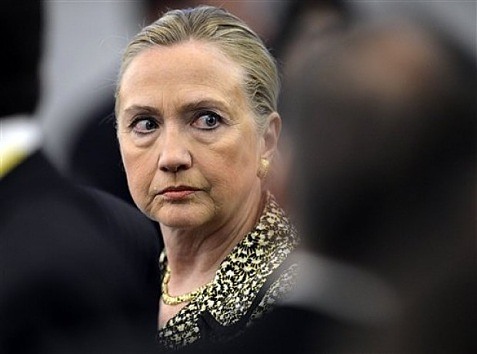 In 2011, former US Secretary of State Hillary Clinton was apparently working with NGO’s to provide aid in Somalia but they had to work out a deal with the militant Al-Shabab because of the terror networks control over the region, so we’re told. As you may know, it is an international criminal offense to directly deal with terror organizations, which prompted the US to expand its licence issued by the Office of Foreign Assets Control (OFAC), protecting NGO’s from anti-terror laws. This begs the question, was Clinton using the NGO’s as a proxy to make an illegal weapons exchange with Al-Shabab for food transport to poverty-stricken areas in Somalia, or was the whole operation about weapons exchange with a food aid narrative as a disguise?